Can you remember what first attracted you to music in the first place? Were your parents musical? CHRIS: My parents were not musical at all. My father was blind and deaf. And despite these setbacks, he loved to go ballroom dancing with my mother, who of course would have to lead. I first started playing while in the Boy Scouts. We had a Skiffle group called, The Casuals, and although musically inept, we managed to get through several Lonnie Donnegan songs. What sort of music did you grow up on? Was it easy to obtain records in Liverpool? CHRIS: Until the advent of Rock’n’Roll, young people didn’t have their own music. Of course, every now and then a gimmicky piece of childish drivel came along but, we didn’t have music that really represented us. 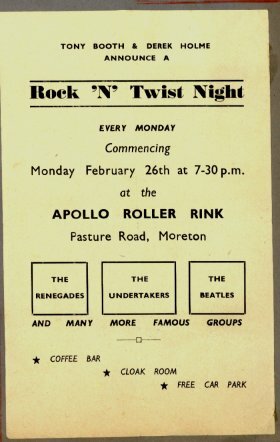 Then, in the mid fifties, along came Rock’n’Roll. I was around 13 years old when I bought my first record, “Hound Dog”. This was the real deal. Very quickly, English artists did cover versions of the American hits and we got our own home-grown teenage idols. Along with all the copycats there were a few original artists, including Cliff Richard who, although assuming an Elvis style personae, did do some great original material as did his group, the Shadows. But really, nothing could come close to the excitement and sound of the American records. The bottom line was that now we kids had our very own bona fide music. 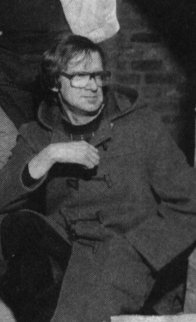 What recollections do you have of drummer Bob Evans, the founder of the group? CHRIS: Let’s see now…Bob Evans had one of the first and best Rock’n’Roll groups on Merseyside in the early days. He loved The Del Vikings and Gene Vincent. He wore always wore a black leather jacket and had his hair slicked back in a D.A. - a Ducks Arse to the uninitiated! I joined the group around 1960. We would play at most of the seaman’s and working men clubs around Merseyside. As I remember the group was a somewhat ad hoc one. That is, If one guy couldn’t make it there were always a couple of others who could. Sometimes half the group would be “stand-ins”! It didn’t seem to bother anybody, least of all the customers. 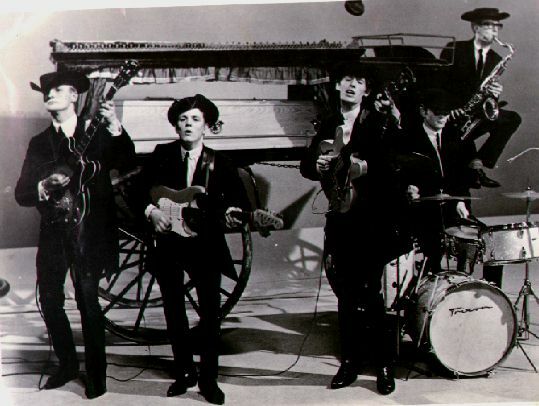 That was the genesis of the Undertakers really - a combination of two groups, Bob Evan’s “Five Shillings” and “Dee and the Dynamites”, who then became Bob’s Vegas Five and then, The Undertakers. Your nickname in the Undertakers was "Shine". What's the story behind this? CHRIS: We all assumed nicknames - God only knows why! 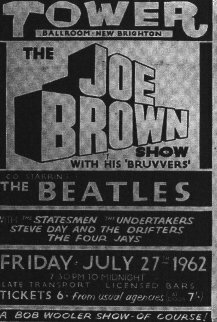 I was a fan of Joe Brown At the time. He was a great guitar player from London who was on all the pop TV shows at the time. He sang also, but only to accompany his guitar playing - In other words he wasn’t a great singer. But he came across great on stage and TV, having a cocky London attitude that he applied to his music. He did a song called, “Shine” - So, naturally, I became Shine. Was the decision to turn professional a difficult one? CHRIS: Are you kidding? Looking back, I don’t think that anything could have stopped us giving up our jobs and going to the Star Club, in Hamburg. At that time, only the Beatles and Jerry & the Pacemakers had been to Germany. Both of them had come back vastly improved with great new material and a better stage show. More than that, or perhaps because of these things, there was a certain mystique about Hamburg? I’ll tell you what our jobs were and then you’ll see why turning professional was so easy: Brian Jones was a butcher, Jackie Lomax was a clerk at the Mersey Docks & Harbour Board, Geoff Nugent was an artificial limb mechanic at a hospital, “Bugs” Pemberton was Just finishing school and I was a commercial artist. I was actually making 3 or 4 times more playing at night than I was working the day job. And this was before we turned professional! Manfred Weissleder, the owner of the club, and his manager Horst Fascher, came over to Liverpool to select some groups to play at the club. We got a call to say that they would coming to see our show at the Litherland Town Hall. When we arrived, there was a 1969 white Chevrolet convertible parked out front. Of course, we had only seen American cars in the movies or on TV - They had arrived in style! After the show, Horst asked if we could be in Hamburg in 2 weeks. Wow, What a rush! Of course, it actually took a couple of months to get it all together as none of us had passports and we had to give notice and quit the day jobs. So in August, 1962, we first went to Hamburg. I had just turned 19 years of age at the time. What is your overall verdict on the period that you spent in Germany? Some people have said that you musicians arrived in Hamburg as "boys" and left as "men"...and not just in the musical sense. Is that how it was for you? CHRIS: “Arrived in Hamburg as boys and left as men”...I like that! And, I suppose it was true. Hamburg was, and still is, decadent and wild. When you come from a working class city, like Liverpool, and you suddenly find yourself in the middle of almost complete moral decadence, who knows what will happen. The culture shock was first, followed by the realization that we were completely free from any parental oversight. The crowds were incredibly enthusiastic and the girls…well! Suffice it to say that we learned a lot about many sides of life during that first trip. Those times have had a lasting effect on me and I look back on them with a lot of fondness. Without a doubt, it started me on the path which has led me to where I am today…a little wiser and still in the music business. Can you give us a rough idea of the sort of material that the Undertakers played during your live shows in Hamburg? CHRIS: When we arrived, we only had the repertoire that we brought with us. 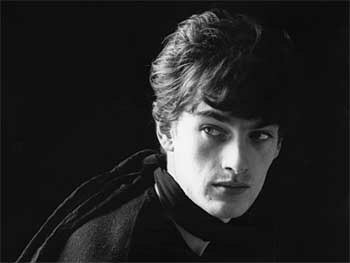 Jackie Lomax became real close friends with Astrid Kircherr - who had been engaged To Stuart Sutcliffe, the Beatles original bass player who had tragically died just a few years before. She was instrumental In helping shape the Beatles look - the hair style and the collarless jackets et cetera. She also helped us a lot. She introduced us to the music of Smokey Robinson and the Miracles and many other American artists. 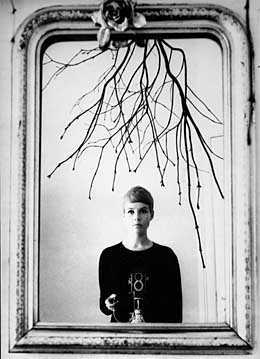 She and Klaus Voorman were regulars at the Star Club. Astrid would take us all back to her flat, feed us and play records for us. She also took some excellent photos of us. She was a brilliant photographer with the wonderful ability for capturing “the moment”. Also, of course, we learned new songs from the other groups that performed on the same shows. The high level of professionalism of the American artists really had a tremendous influence on us. I think that the thing that impressed us most was that they were willing to sit down and show us things. To have the guitar player from Bill Haley’s band show you a guitar lick or the lead singer of Joey Dee & the Starliters, Davey Brigati, take an interest in Jackie’s singing was unimaginable to us at the time, and yet there it was happening. 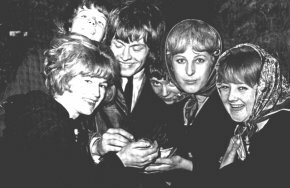 Your private collection includes a lovely photo of yourself, Jackie Lomax, Brian Jones and other British musicians together with the great Gene Vincent at the Star Club. How did that come about? 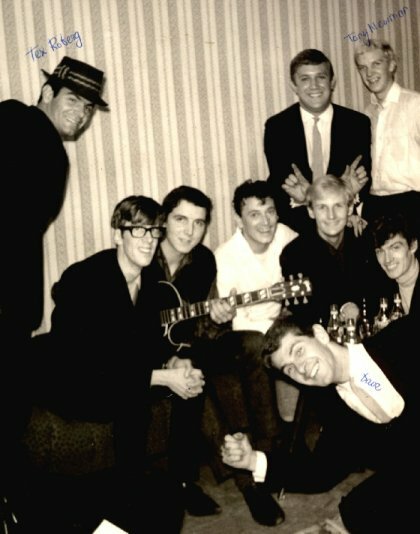 CHRIS: Gene Vincent came over to play for a couple of weeks during our second or third time at the club. We were very excited to be on the same bill with him. He turned out be a really nice guy and his stage act was all that we had expected it to be. We became quite good friends and bumped into him a few times in London later on. That particular photo was taken in one of the dressing rooms at the Star Club. 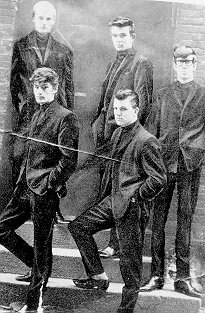 The other guys in it, other than Jackie Lomax, were in Sounds Incorporated who later went on to fame, if not fortune, as the horn section on some of the tracks on the Beatles “Sergeant Pepper” album. Obligatory question: what sort of relationship did you have with a) the Beatles and b) the other Mersyeybeat bands of the era? CHRIS: We all knew each other to some degree, at least the bigger groups did, Liverpool being the small “big” city it is. I had first met John (Lennon) at Liverpool College of Art. On a few occasions John and George borrowed my amplifier when we were on the same bill. I remember one time at Crosby Hall, I had to walk onstage between numbers and retrieve the amp as we had to leave to play somewhere else. I can recall very few instances of jealousy or problems between groups. Rivalry existed, as it had to, given that so many groups were competing for so few choice gigs. “Stealing” another group’s songs was possibly the worst it got. You’d see a group do a song that no one had heard before and have to find a copy of the record and copy the words and learn the chords to learn it. 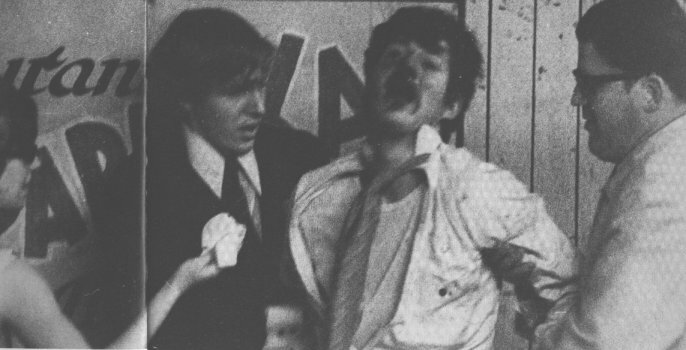 Funny when you think about it because Liverpool is a real rough and rowdy place. We knew Jerry Marsden quite well. That was because, his piano player, Les Mcquire, had been our first sax player, before Brian Jones. Les had left us to join the Pacemakers when Jerry got the offer to go to Germany. As to all the other bands: if they were playing on the same circuits as we were we would get to know them to some degree, or at least bump into them. Having said that, when I look at some of the lists of groups who were playing back then, I realize that there were several “layers” of groups. You know, groups that never played the big gigs. Somehow, they existed playing within a small area, for instance at local bars or clubs in some town, but never having the opportunity to play Liverpool’s bigger dances or clubs or the Tower Ballroom, in New Brighton which was always a choice gig, usually being headlined by an American act. 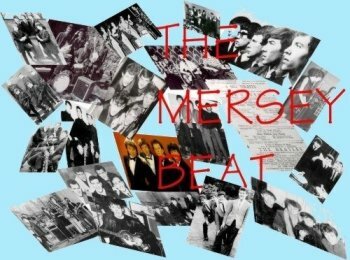 It's generally recognised that the term "Merseybeat" was coined from Bill Harry's newspaper of the same name.Were you conscious of there being "a Merseybeat scene" at the time, or do you feel it was more a question of the media wanting to push the idea that the Merseyside bands had something in common? CHRIS: Yes, my old friend Bill Harry, did coin the word “Merseybeat”. I remember when the magazine was just getting off the ground. 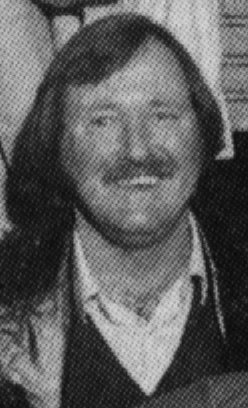 Bill, who also had been at Liverpool College of Art, opened an office over a motorcycle shop in a small side street off Renshaw Street. I was working just down the road as a Commercial Artist. I would go up and visit Bill, spending my lunchtime talking with him. 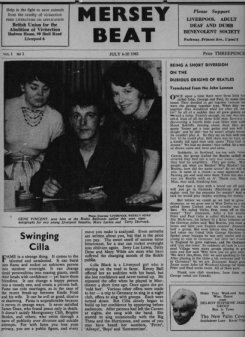 This was before the first copy of “MerseyBeat” ever hit the streets. It is interesting to note that Bill, although not a musician himself, had a keen appreciation of music and, in retrospect, I think that it’s safe to say that he most probably saw the overall picture, and where it was all heading, before we did. We, for our part, knew something important was going on. We sensed the growing local interest and excitement in music and groups, but I don’t think that, in our wildest dreams, we ever expected what eventually happened. For instance, I remember walking through the city center one day and being aware of all the people rushing around, to and from their jobs. It struck me that I had escaped, at least for the moment, that particular social condition - the daily grind. I, for one, was determined to make the most of being a ‘professional’ musician while it lasted. Being signed to a record label was still a year in the future. I loved playing in the band but had no idea where it would lead. Who could have? I have never had the impression that Bill Harry was making it (the music scene) bigger than it was. I always thought that he was contributing in his own way, spreading the word and legitimizing our cause. In fact, now he has become the foremost historian of those times, having written numerous books about the Beatles and the Merseybeat scene. Once the Beatles got their recording contract, and “Love Me Do” came out, the whole of Merseyside was besieged by the media who succeeded in commercializing everything, but who could complain, that’s showbusiness. Along with them, came A & R men from every conceivable record company, big and small, looking for any other groups with any small degree of talent. Groups like the Undertakers, the Mojos and the Big Three all had strong R&B roots. Did you feel that what you were doing was substantially different from the music of the London-based strain of R&B bands (the Stones, the Yardbirds, the Pretty Things, the Downliner's Sect, etc.)? CHRIS: At the time, the Rolling Stones and the Yardbirds were unknown, at least to us. That we were doing similar material, blues, and on a somewhat parallel musical course, is obvious in retrospect. The Scene down in London was quite different than the one in Liverpool. Most London groups were following a more traditional “pop” path, emulating the American bands and artists down to the flashy stage suits and choreographed dance steps. 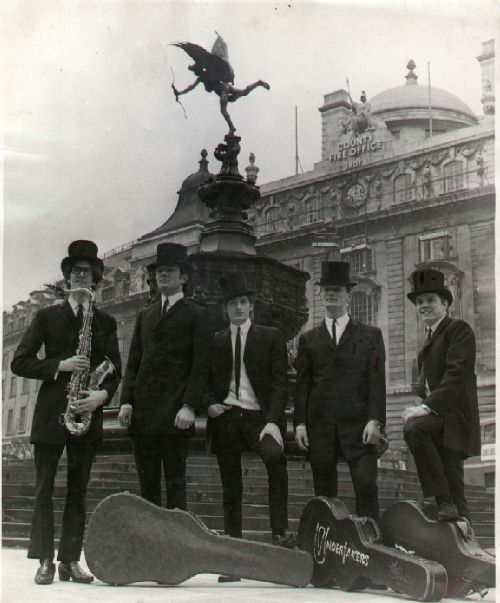 We had heard of the bigger London blues groups like the Cyril Davis Allstars. 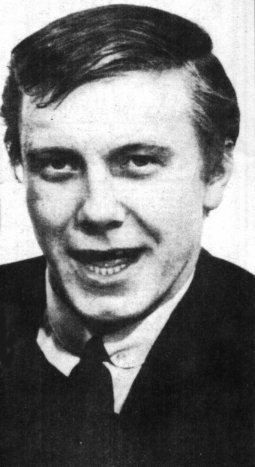 Many of London’s soon-to-be rock stars interned with Cyril Davis or other great blues singers such as, Long John Baldry. Or John Mayell. When we finally got to play the London clubs, we found a very high proficiency of musicianship. Even the Who, who at that time were called The High Numbers and opened for us when we were enjoying high popularity, were really great. 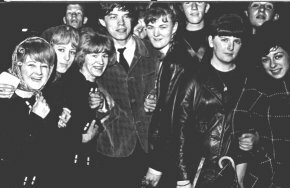 We played a gig in Richmond, around 1963, at some British Legion Hall and the Rolling Stones were playing across the street at some small club or pub. Richmond was their home ground and they had not yet broken out. We walked over and caught the last couple of songs of a set. If there was a connection between the two musical scenes in the north and south of England, the blues was it. And, to answer your question more directly, we were not all that substantially different in that we were all drawing on American music, in our case blues and R & B, without any of our own originality. Groups writing their own songs was still a couple of years from fruition although a lot were starting to take Tentative steps. One only needs to flick through Spencer Leigh's "Let's Go Down The Cavern" to realise that the Undertakers' place in Merseybeat history is perfectly secure. But with hindsight, is there anything that you'd do differently if you had your time again? CHRIS: No! I am happy with the way it went. Of course, I could piss and moan about the record company (Pye) not having a clue about what we were about, or how this or that would have made a significant difference. But what the hell, it happened the way it happened and here I am, a lot smarter about a lot of things. It’s like life: If you knew all the answers what would be the use of taking the test? I have been blessed to have accomplished so much in so many different areas. If I hadn’t had learned those three guitar chords way back then, none of these opportunities would have been available to me. 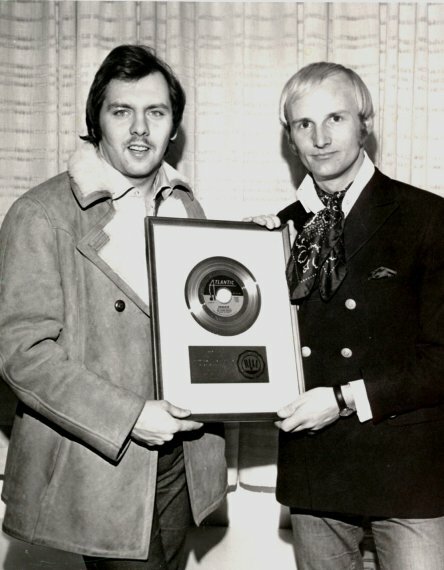 I have been fortunate to have been a part of many hit records over the years and have made many lasting friendships in and out of the business. Sure, I’ve fallen short of my own goals at times and have certainly suffered my share of misfortune. But, all those misfortunes and missteps in my life have been greatly outweighed by the good times and success I’ve had. Music is a universal language which knows no boundaries. I’m still in the music business, producing, engineering and designing recording studios all over the place…what do I have to complain about? What sort of instrumentation did the Undertakers use? 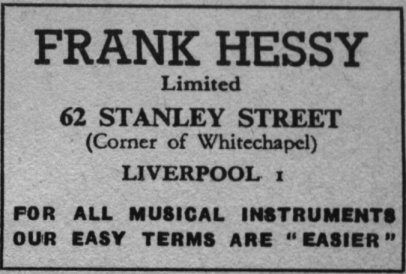 Was it easy to find the gear you wanted on Merseyside? CHRIS: The Undertakers were a five piece band; two guitar, bass, drums and sax. The addition of the saxophone proved to be an important asset. It allowed us to get a big band sound. I would play the horn riffs along with Brian Jones, our sax player. 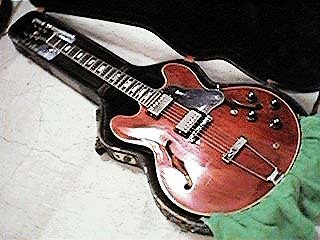 I got one of the first Gibson “Maestro” fuzztones, in 1962. 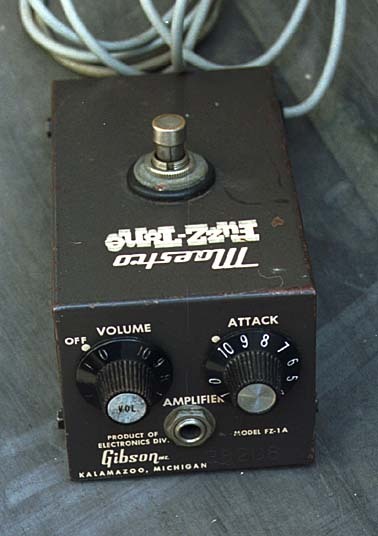 Using the fuzztone to blend my guitar in with the sax produced a horn section sound which got us a lot of attention. 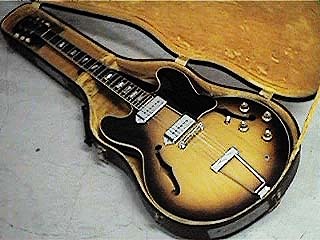 AS to the specific instruments we used: Jackie Lomax had a Gibson EB-O bass; “Bugs” Pemberton played Trixon and Premier drums mostly; Geoff Nugent had a Les Paul Special (as I did at first) and then a great Gibson 330 with P-90 pickups and I traded my 1962 Les Paul Special for a Gibson 335 (Stereo) which I regret to this day. Both Geoff and I had Gibson SG’s along the way also. 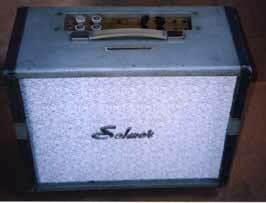 For amps, we used Selmer after we became infamous. I even got to help in the design having experimented with different stuff. I was really interested in improving bass cabinets. I read some books on the “Thiel-Small” Formulae for cabinet design and made several in the living room at home. As far as getting musical instruments in Liverpool, it was hard, at first to get the American stuff. It had to be special ordered and seemed to take ages to arrive. 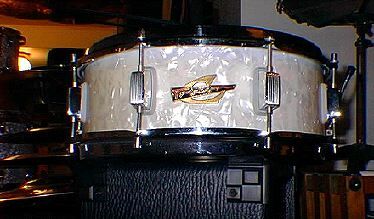 Later on, it became readily available, after Selmer, in London, began importing all the major American brands. Did most clubs have their own PA systems in those days, or did you have to supply your own? CHRIS: At first, very few of the clubs had their own sound-systems. Those that did proved to be grossly inadequate for the amplified music that was becoming more and more popular. Brian Kelly, who ran the very successful dances at Litherland Town Hall was quick to see the problem - and the solution. He began renting and leasing sound systems to most the clubs and dance halls. The systems were, by today’s standard, laughable. A typical system, including the first one at the Cavern, consisted of a 35-50 watt power amplifier, two 12” speakers in open back cabinets and four Reslo ribbon microphones. Brian did not upgrade3 the speakers until around late 1963, at which time he made up some cabinets with two 12” Speakers in them. The Cavern, of course upgraded. As we started to tour more we put together a comprehensive sound system. We had two 3 way Wharfdfale 15” speakers in heavy, enclosed cabinets. For an amp, we used a large Selmer P.A. amp that Selmer gave us as part of our sponsorship deal with them. We used Shure SM-57 microphones. I designed 6’- 0” high tubular steel stands for the speaker enclosures to sit on. When travelling, the speakers fit snugly into the stands which then protected them. The hard-gigging lifestyle of bands on Merseyside and in Germany has been well documented, with musicians often being asked to play at 2 or 3 venues on the same night! This frenzied live activity seems to belong to another era; how did you handle such time-consuming chores as soundchecks and filling in copyright forms for cover versions that you played? CHRIS: First of all, let’s address the last part of the question about filling out copyright Forms? That situation did not exist back then. Nothing to fill out…period! As for the 3 gigs-a-night thing: we usually did three different clubs and/or dances on Thursdays, Fridays, Saturdays and Sundays when we were at home on Merseyside. This went on for over a year and a half. Apart from being tremendously tiring it was fun. We had developed a great stage show by then, having had several trips to Hamburg under our collective belt. When I say show, I don’t mean to imply that we did dance steps or used flashing lights! We had a lot of different sets worked out that really seemed to put our music in its best light. We did the Isley Brothers “Shout”, but more in the style of Joey Dee & the Starliters, from whom we copped it, while at the Star Club. We swung our jackets above our heads and stamped our feet in the breakdown section, which always got the crowd going. But, apart from that, our music was straight ahead, driving Rock’n’Roll and Rhythm & Blues. Are you still in contact with the other members of the Undertakers? Do any of them still play on a regular basis? CHRIS: I am, unfortunately, not in touch with anyone right now, which I regret. I always try to get together with Brian Jones and Geoff Nugent whenever I go back to the ‘Pool. Jackie and Bugs are over here. Jackie is still playing and Bugs has established himself as one of the premier finish studio carpenters in Los Angeles. As to whether I still play…yes, for my own enjoyment, and at little get togethers with friends. My music comes out, as it has done over the last 30 years, in my job as a producer/engineer and in my designs for recording studios. I very much enjoy lecturing on production and engineering and feel that it is my duty to pass on what I have learned and what was so freely given to me over the years. CHRIS: That’s a tough question, really! In any such list, my name would not appear. I could not pick ten great guitarists, by today’s standards, from back then because there wasn’t ten out of the whole bunch of us, as far as I was concerned. So, let’s get serious and see what I can come up with. 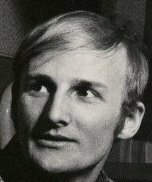 First, the best technical guitarist on Merseyside was Colin Manley of the Remo Four. He could play and replicate anything. He was a joy to watch. 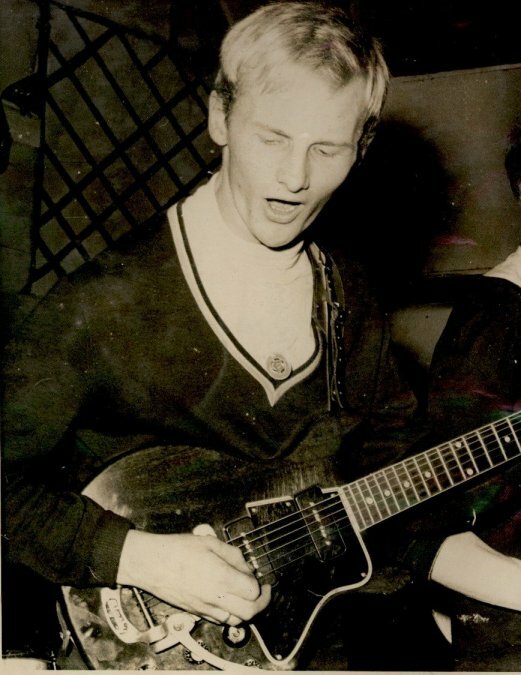 Then there was a guitarist called “Griff” (Brian Griffiths) who had something that I could never put my finger on? He had an incredible natural feel that I would have killed to achieve. His style was closer to some of the great players today. He was very underrated being judged, I suppose, by the overall achievements of the group he played with, The Big Three. He too was the best guitarist on Merseyside, in a different way. George Harrison was never a fantastic guitarist. He was a clever and creative guitarist, equal to anything that he had to play. 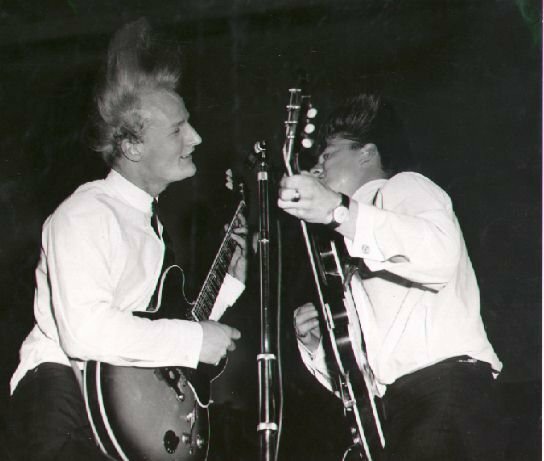 Johnny (Guitar) Byrnes was a character more than a guitarist. True he was the rhythm backbone of Rory Storm and the Hurricanes. So, you can see my problem in coming up with a list? There were several other really good guitarist around back then. Guitarist that could turn out a decent original solo or copy any solo off a record: Gerry Marsden and Richie Prescott come to mind. But, I don’t think that that is the criteria is it? So, my list is very short, and in all fairness incomplete, with Colin Manley for his technical ability and “Griff” for his natural magic. I’m sure there were quite a few good guitarists who, later on, developed into great guitarists? But, back then, only a few really stood out. 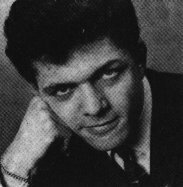 In his book "The Man Who Gave the Beatles Away", Allan Williams, the Beatles' first manager, included the following dedication: "For Stuart and Rory who never quite made it. But then, who did?". How did the deaths of Stuart Sutcliffe and Rory Storm hit you personally? Although they were far apart in chronological terms, there is a certain similarity between the two cases, if only because of the mysterious circumstances. 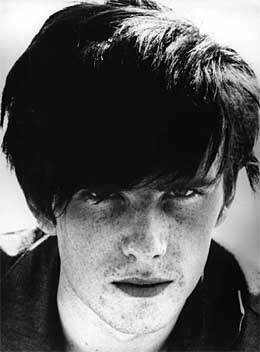 CHRIS: Hearing of the death of Stuart Sutcliffe, way back then, was very strange. I had never known anybody my age who had died. And, having it happen in Hamburg only intensified the unreality of it. When you are that young, you think that you are “bullet-proof”, ready to take on the world. 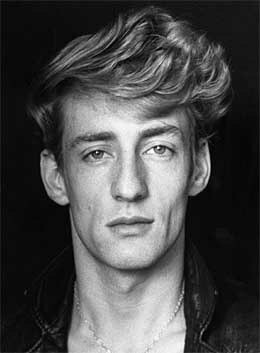 I don’t see any similarity in Stuart’s death and Rory Storm’s, except perhaps the shock of such a tragedy happening. I remember Rory as a really nice person with a certain intensity when speaking with you. He had a stutter that magically disappeared when he sang. That he could get so depressed as to take his own life raises many questions that I am not qualified to answer. As you say there is a connection between the two which is the mysterious circumstances and the unanswered questions. On a similar note (apologies for the depressing tone of these two questions! 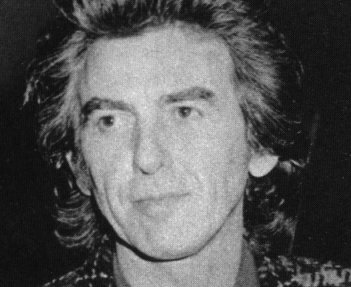 ), what was your reaction to the recent attempt on George Harrison's life? CHRIS: When I heard about it, my mind flashed back to John Lennon’s death. Here we go again! How sick and out of touch with reality must a person be to rationalize an action like this. How many sandwiches short of a picnic do you have to be to want to kill. I shudder to think! Let's move over to the other side of the mixing desk now. You've managed to build a highly successful career as a record producer and engineer, with gold and platinum records to your name, and even a grammy award. You've also worked with artists of the calibre of Led Zeppelin, The Who, The Rascals, Van Morrison, Ben E. King, Wilson Pickett, James Brown, Eric Burdon. Which artist, and which recording(s), gave you the most pleasure? And who was the most difficult to work with? CHRIS: When I first got behind a recording console, I knew that this was the instrument that I was supposed to be playing. As a guitarist, I was adequate. I could play what had to be played, but I was far from great. There’s an invisible connection between what you want to say musically and your fingers on the instrument. I had the ideas, but I could not play them. both musically and as people. Those first 4 or 5 albums were such a pleasure to be a part of. The level of spontaneous creativity was incredible. That we had many hits such as “Spill The Wine”, “Slippin’ Into Darkness”, “The World Is A Ghetto”, “Cisco Kid”, “Why Can’t We Be Friends” and “Low Rider” only sweetens the memory. As far as difficult artists…There are always moments when any artist can lose his or her cool and I have weathered many such storms. It can happen for any number of reasons. I can honestly say that there has only been one occasion when I stopped a session and refused to continue with the project. This because the artists in question broke a promise regarding their own behavior. Enough said! A very hard, but satisfying, project for me was working with Sweetwater. Nancy Nevins was recovering from a recent automobile accident that had left her with badly damaged vocal chords. My job, as producer, was to help them through this very difficult time, and deliver an album. Nancy has recently sent me a new compilation CD that has four songs from that album on it. Hearing them brought back fond memories. To better understand the problems, I would go with Nancy to her vocal coach, Seth Riggs. I would sit with her while Seth put her through scales and vocal articulations, working to restore and strengthen her beautiful voice. She worked very hard at what must have seemed, at the time, an impossible task. This was a hard project because of Nancy’s condition and the other personal interactions that were affecting the group and their music. As much as it was hard it was a joy, working with talented musicians to bring out their best ideas and performances despite everything. Working with the Who and Led Zeppelin was a blast! Two of rocks finest groups. There are just too many stories and memories to tell in such a short interview. 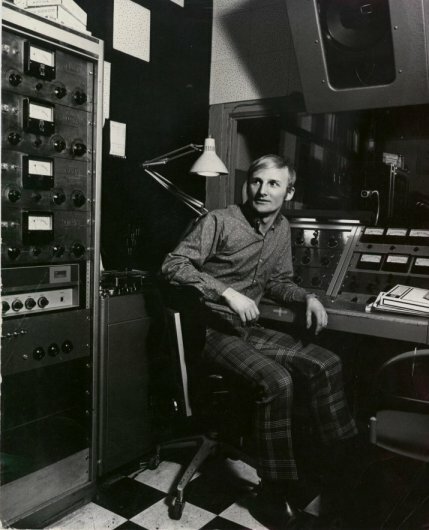 Without doubt, life in the recording studio has changed enormously over the last forty years. In your opinion, what have been the most important innovations for the recording musician? CHRIS: Well, by far the most important innovations have to be in the accessibility of recording equipment, at a reasonable price, to the musician. This factor alone has accounted for a huge increase in product and creativity. But, that is only the tip of the iceberg. What has really happened is that musicians have started to take a role in the outcome of their music in greater numbers. Some historic notes should be made at this point. The Beatles, without a doubt, were the first band to really go into the Control Room and make an effort to influence the outcome of their music. What many people don’t know is the influence that Les Paul (of Gibson Les Paul fame) has had on the art of recording. Les Paul, along with his wife Mary Ford, produced some incredible records using two mono tape recorders. They would record on one and then transfer that recording to another machine while, at the same time, adding additional guitar parts or vocals. In this way, they made some incredibly complex music. Eventually, Les must have tired of this procedure, because he came up with a brilliant idea. He invented and perfected, Sel-Sync, or Selective Synchronization, which made possible multi-track recording as we know it today. oldies sound so good. It was happening in the room. Today, we create a performance. This means that the drums can be recorded in London; the bass in Los Angeles and the rest in Timbuktu. The pitfall, to me, is the potential for over production. But that’s another conversation for another time. Going back to how it all started, what do you miss most about the Merseybeat era? CHRIS: That’s like asking me if I’d like to be young again? The answer has to be yes and no! Of course I miss it in certain ways. There was, as a young man, an incredible sense of freedom, which was in reality, a lack of responsibility. In that context, I’d love to go back! But as that option is not available to me, lacking divine intervention, I must say no. As you must have gathered from my previous answers, I am content with the path my life has taken. I am also content with the wonderful memories of those incredible Merseybeat days. Incidentally, I have managed over the past year or so, to make contact, through websites like yours, with many of my old friends from way back then.